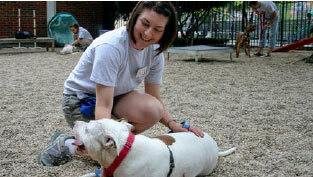 The Center for Shelter Dogs is committed to improving the welfare and eventual placement of homeless dogs everywhere. Have you ever wondered about the visitors to your shelter who go home empty-handed? Why didn't they find a pet they wanted? New research from Center for Shelter Dogs suggests not everyone who visits is ready to - or even plans to - adopt. 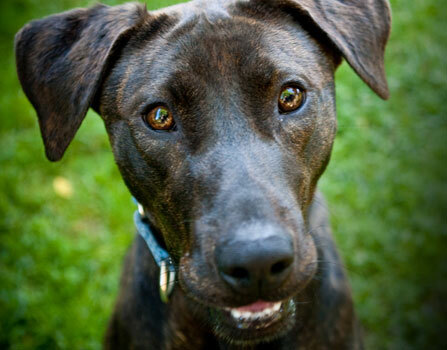 We found 18% of visitors to one urban shelter had no plans to adopt - they were "just visiting". Find out more about why people visited this animal shelter and suggestions for how to turn visitors, whether adopters or not, into advocates for your shelter. Every visit counts! The Center for Shelter Dogs offers a variety of educational resources including free webinars, videos, research, and training documents focused on improving the lives of shelter dogs. 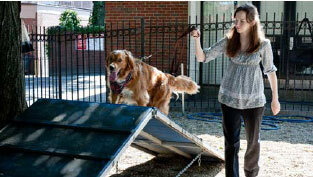 Providing dogs with physical and mental stimulation is a critical factor for maintaining their behavioral health. Enrichment activities will keep shelter dogs busy, so they are less likely to do the things we don't want them to do, while basic training makes dogs more adoptable.